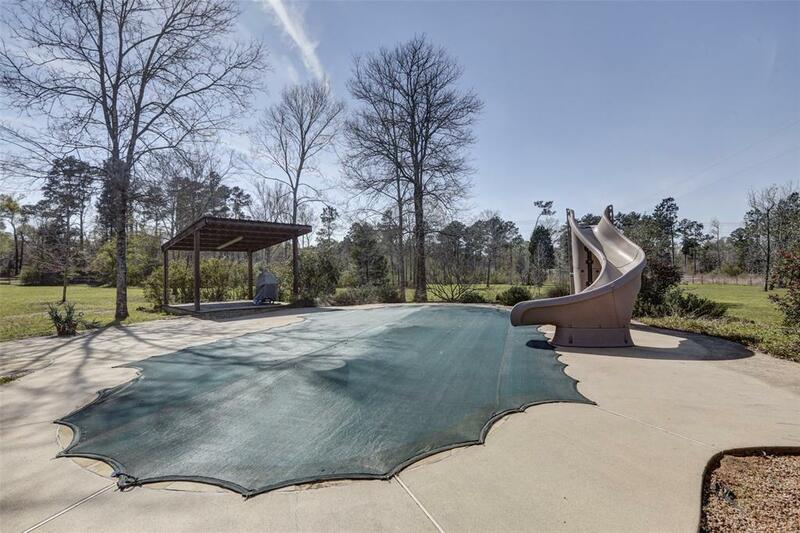 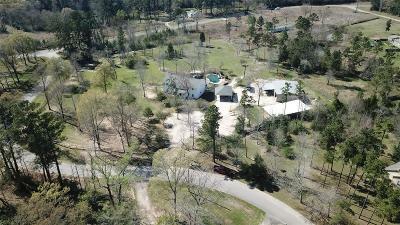 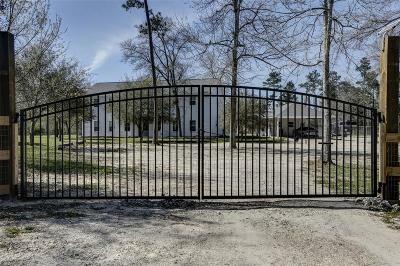 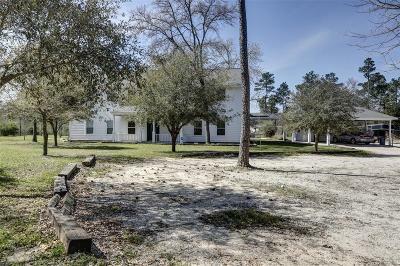 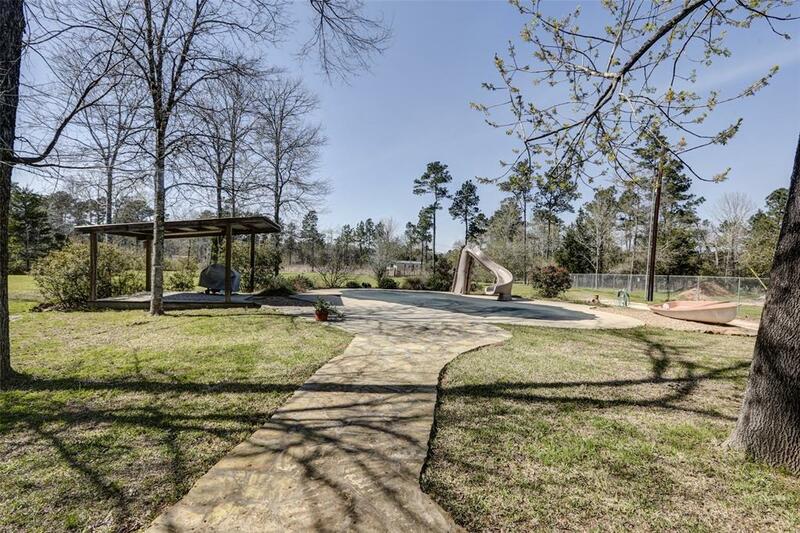 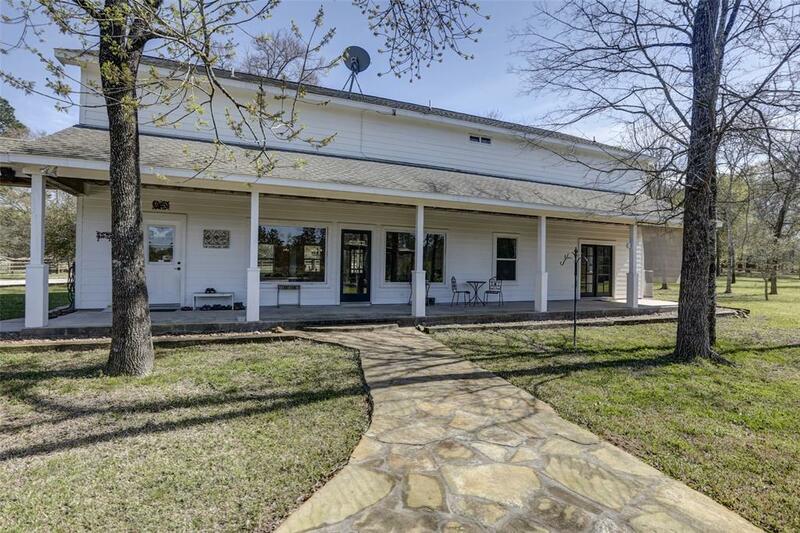 Nestled in a celestial setting surrounded by beautiful mature greenery, this beautiful home is set on 3.5 unrestricted acres. 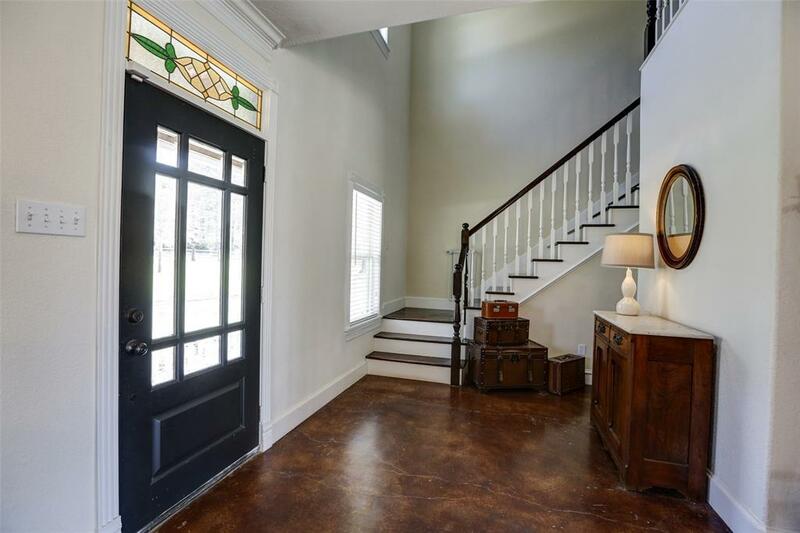 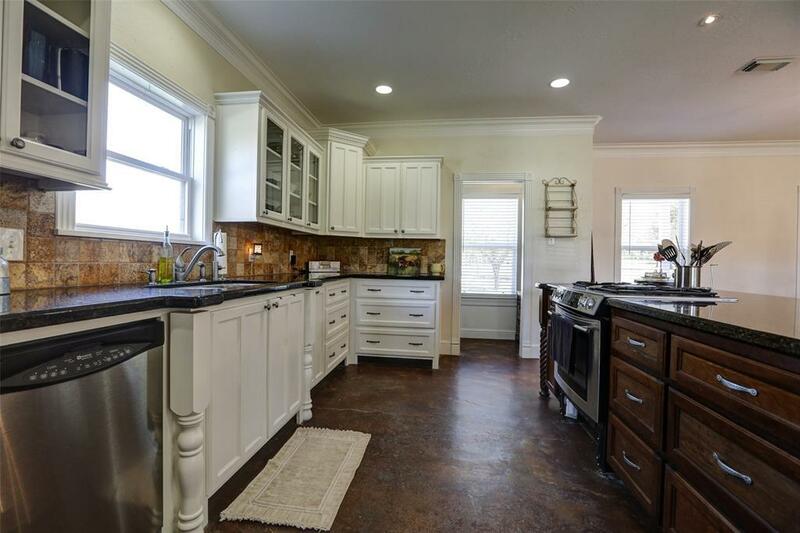 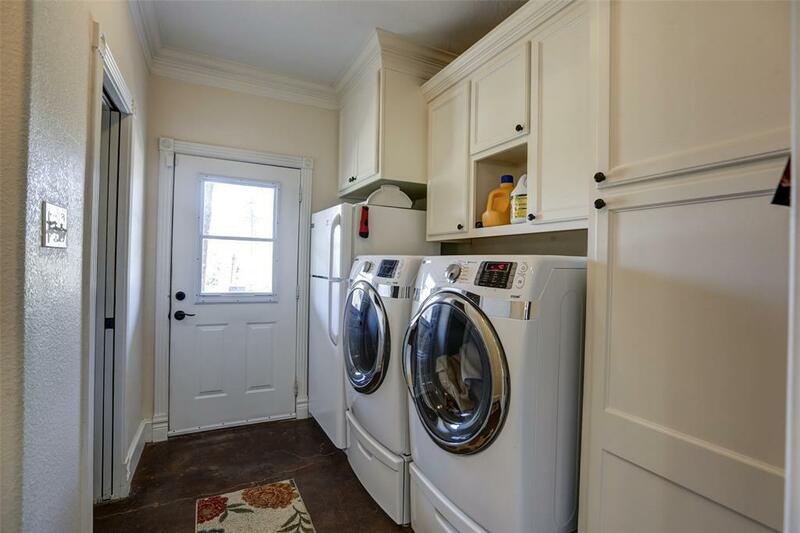 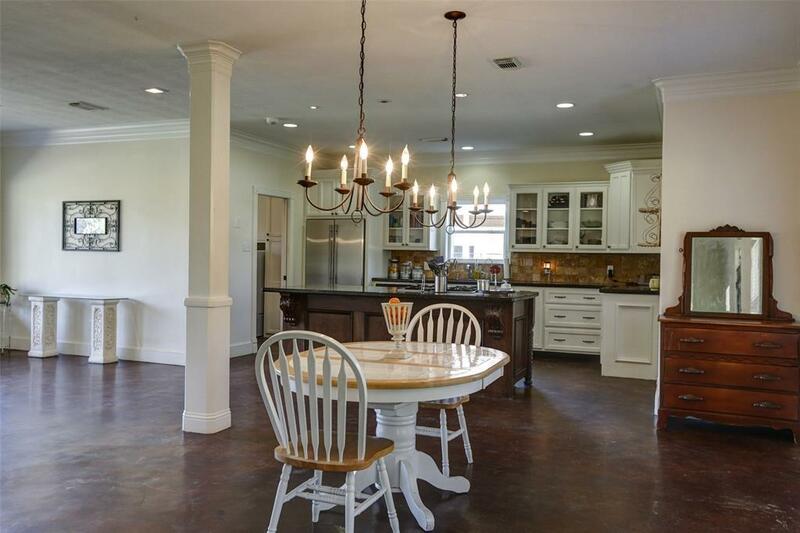 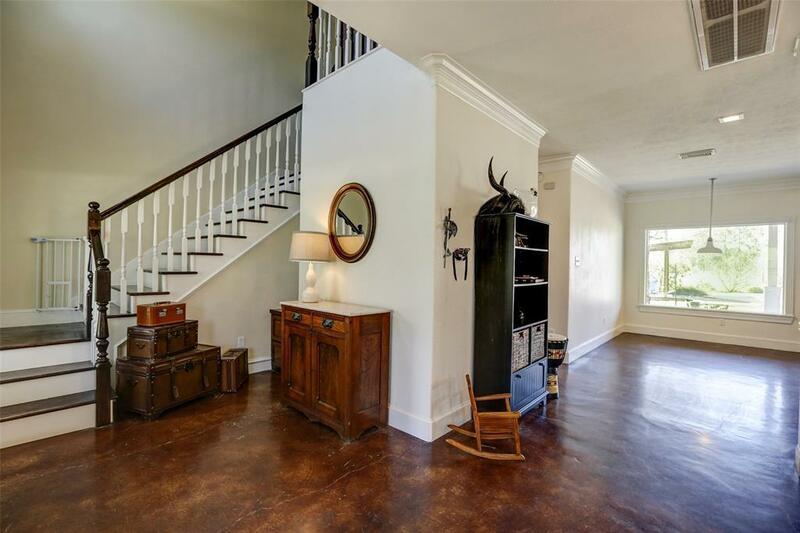 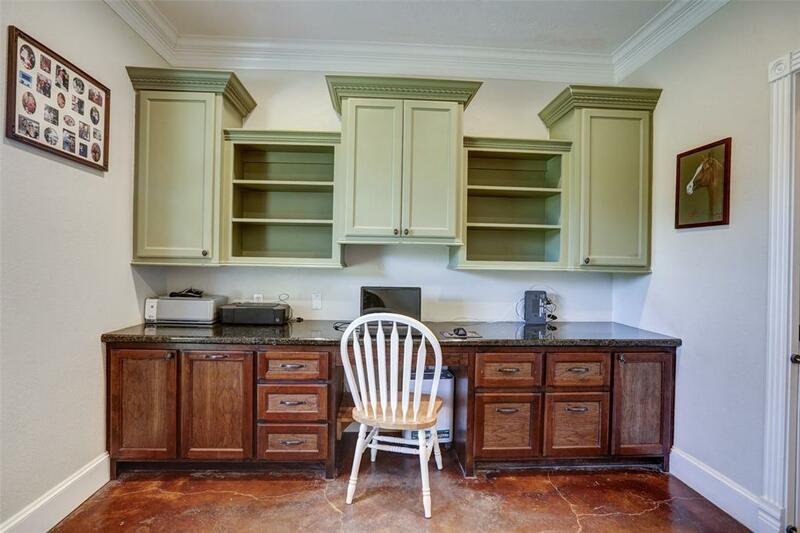 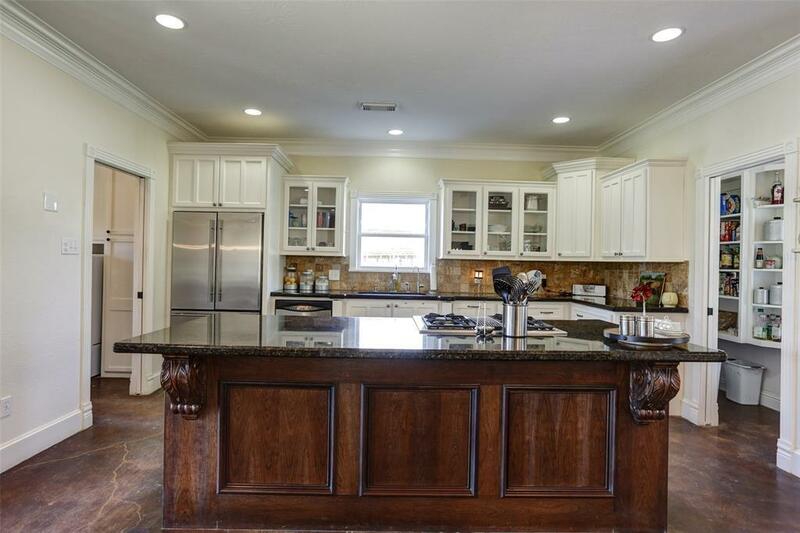 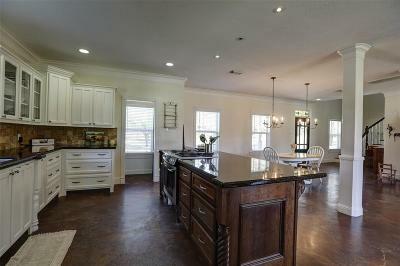 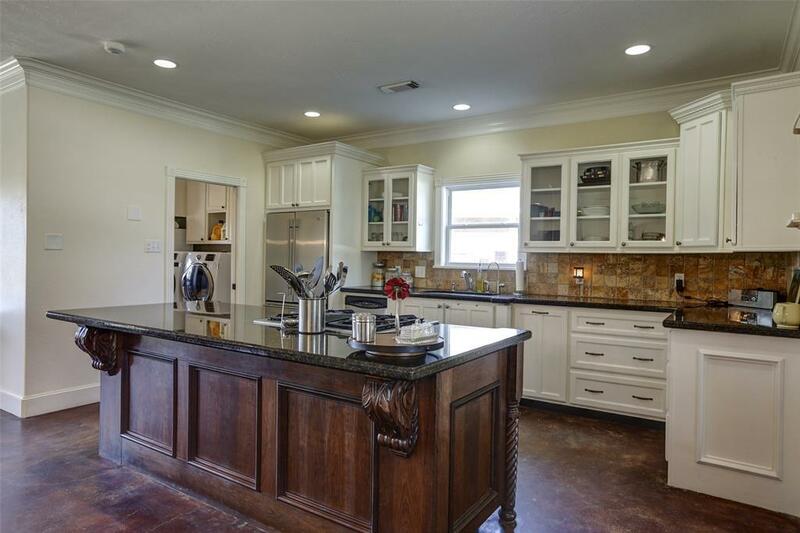 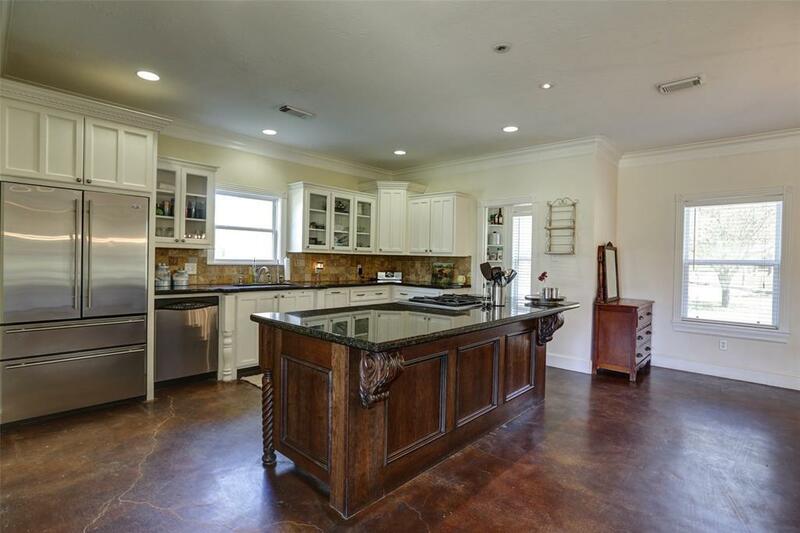 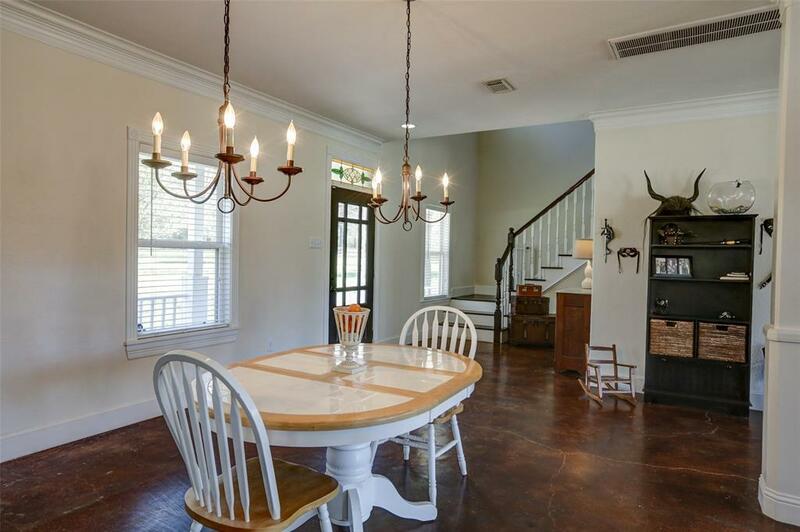 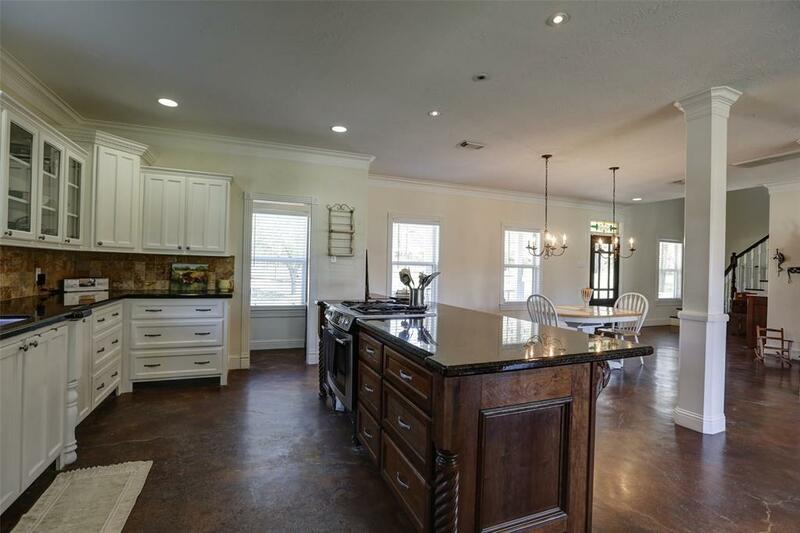 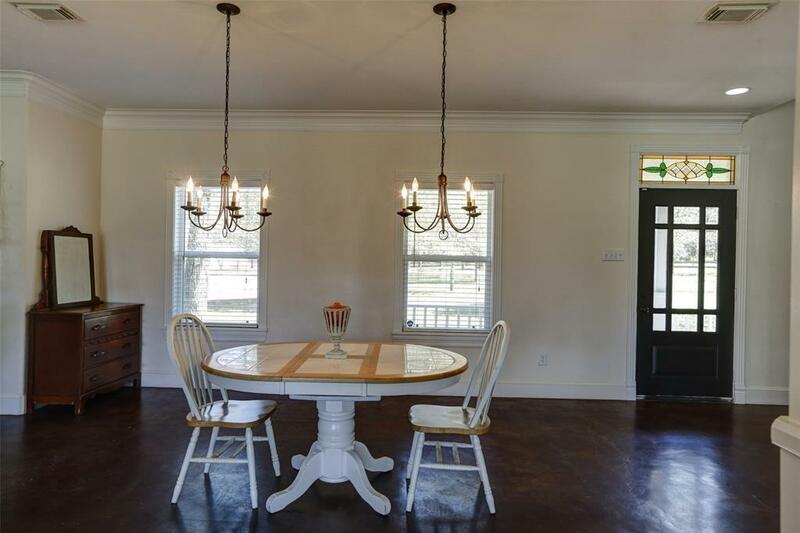 Very unique details with fine craftsmanship, an oversized hand carved island and custom cabinets. 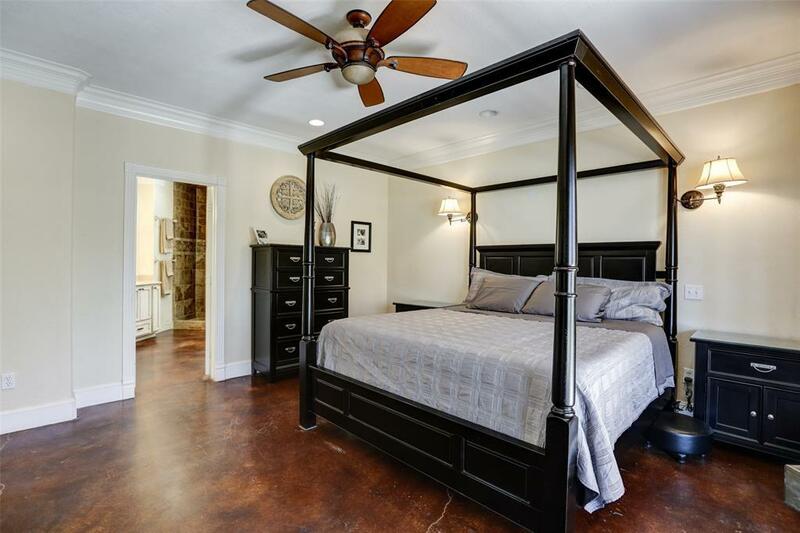 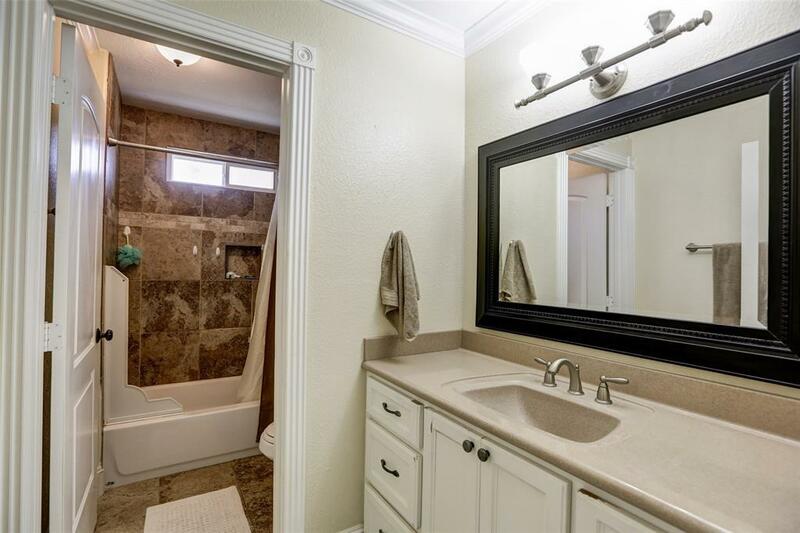 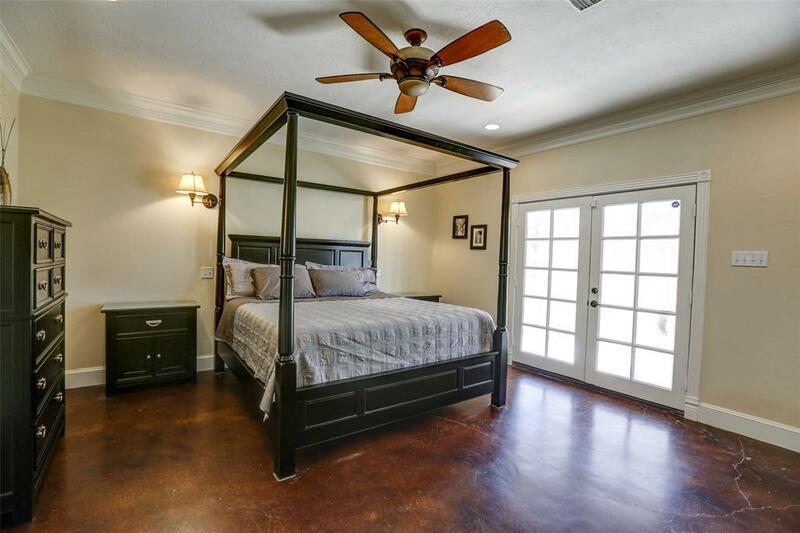 Beautiful stained concrete floors, large mater bedroom and bath with separate Jacuzzi tub and walk in shower with beautiful tile work. 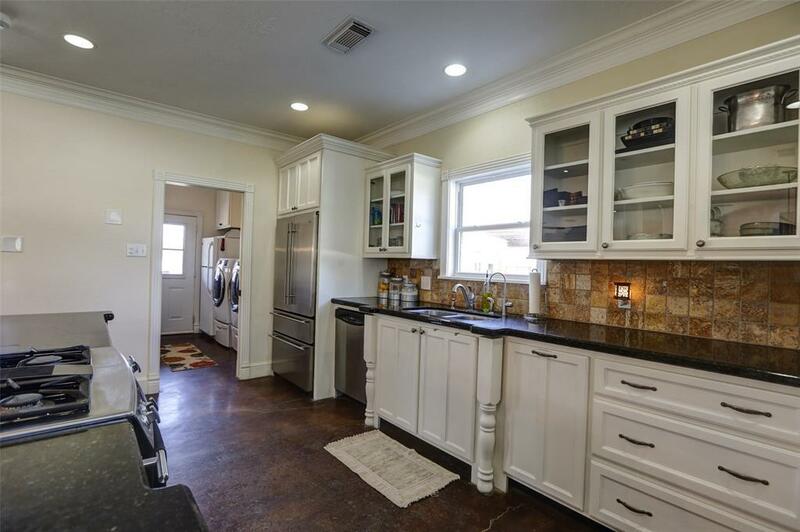 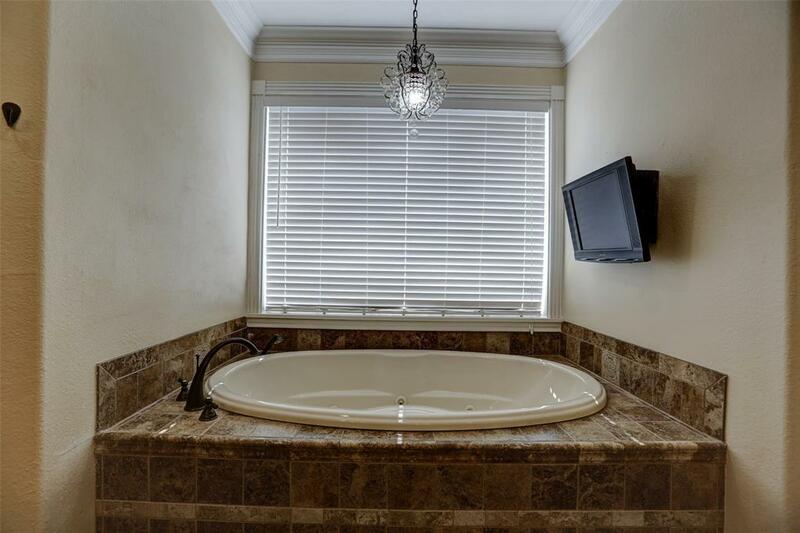 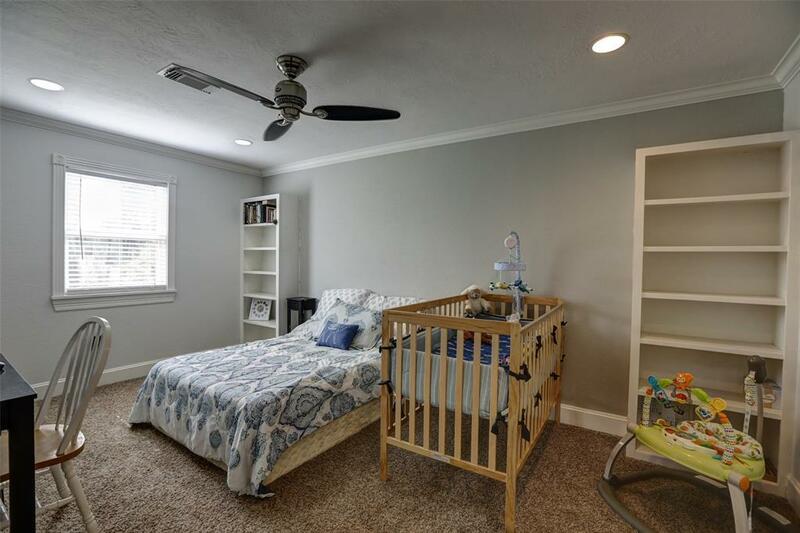 3 bedrooms, 2 full and 2 half baths. 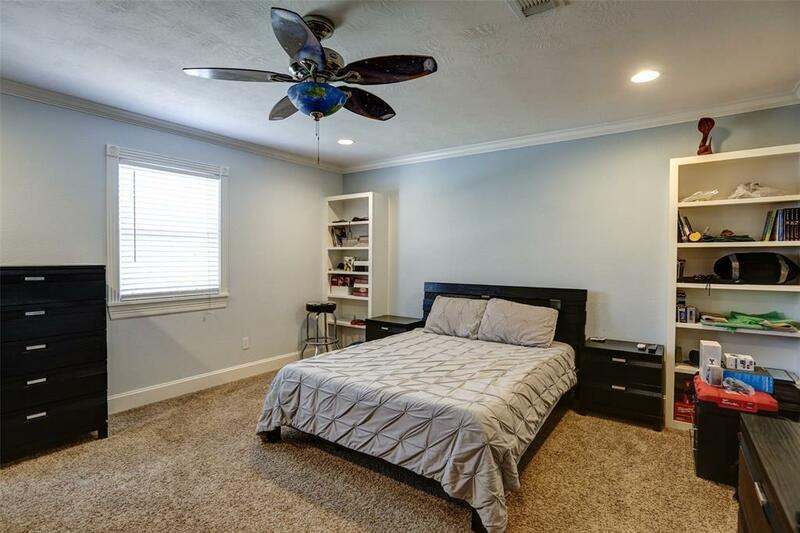 Extra room upstairs can be converted to a 4th bedroom. 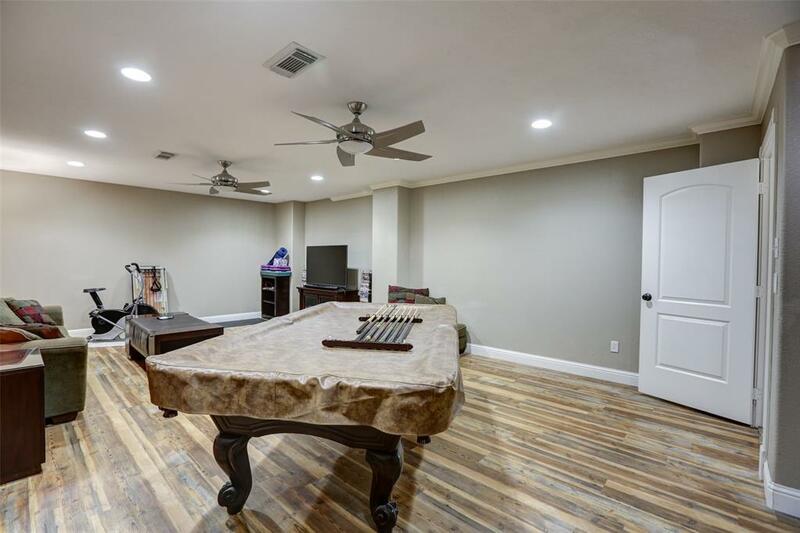 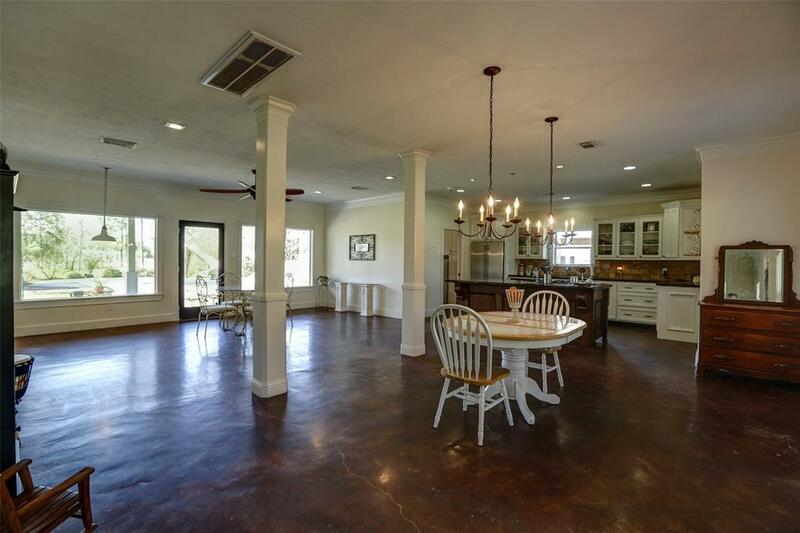 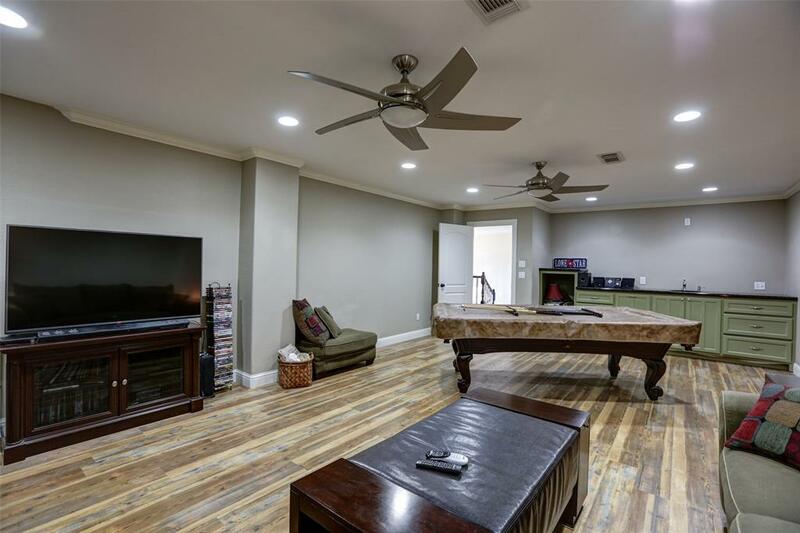 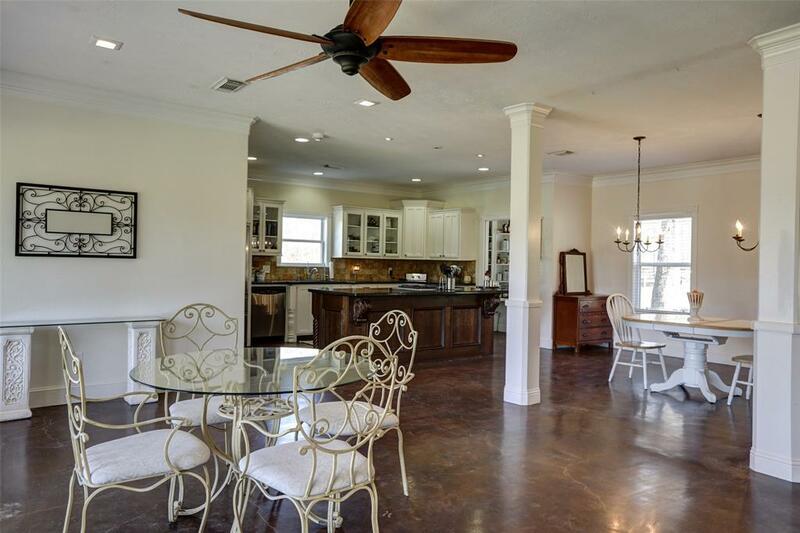 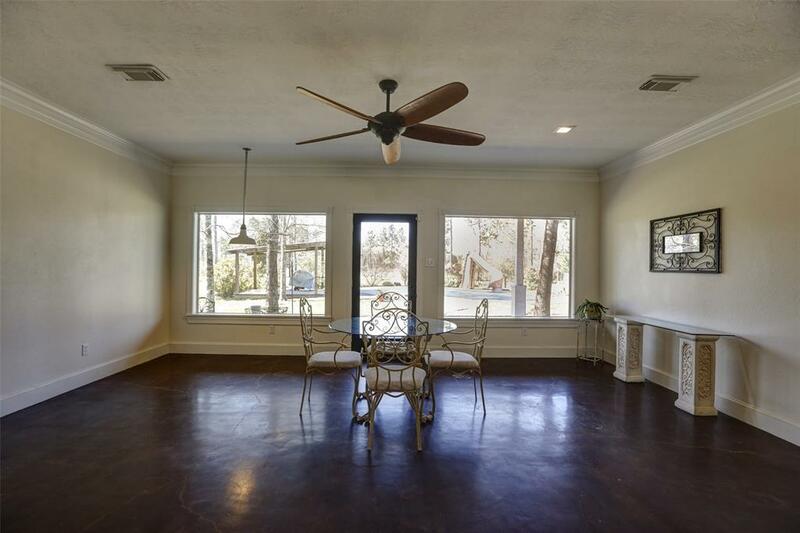 Huge game room with wood floors, and a wet bar for fun entertaining. 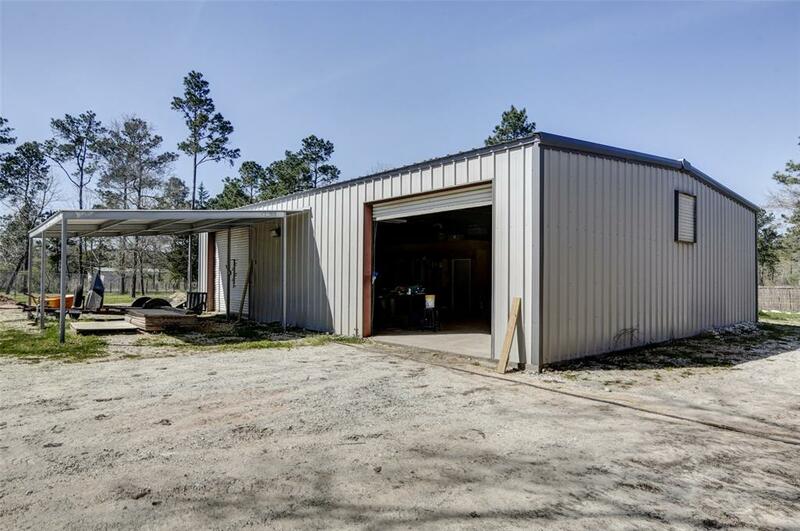 2000 square foot workshop with an office (a/c window unit in office). 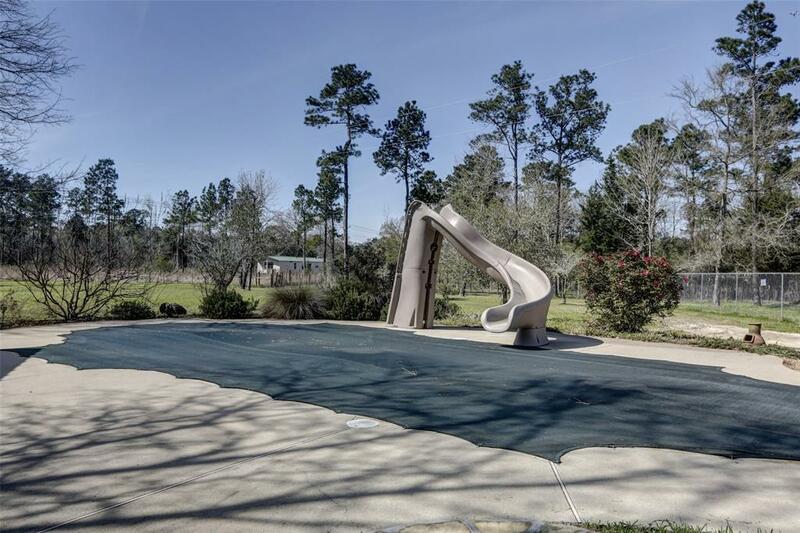 Outdoor oasis with a glistening pool, a unique slide, and a fantastic covered eating area with electricity poolside. 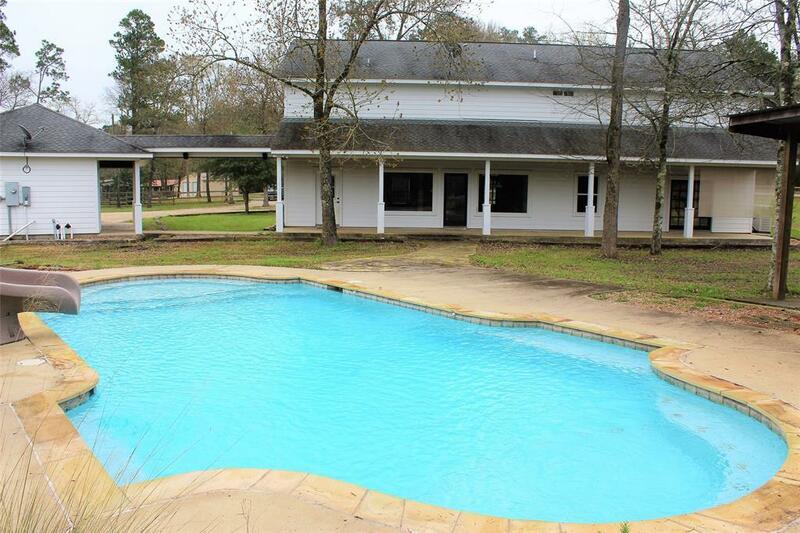 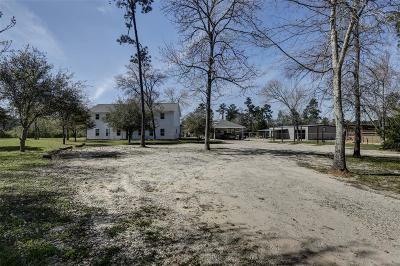 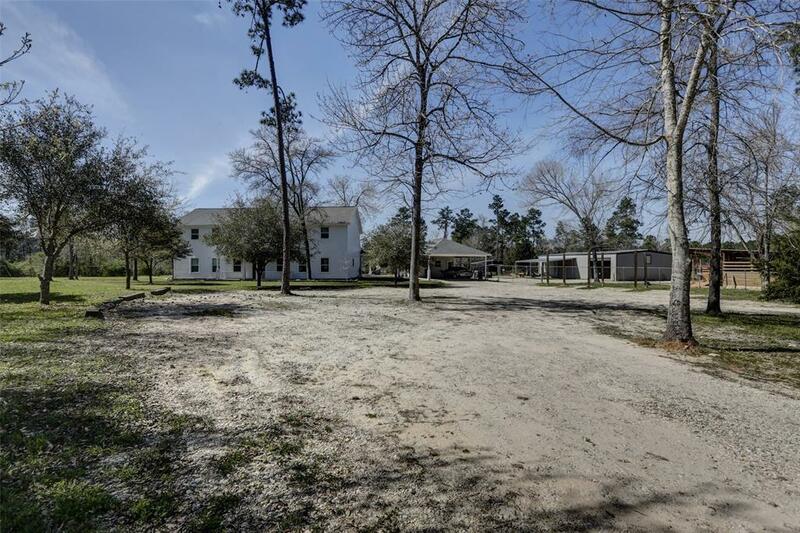 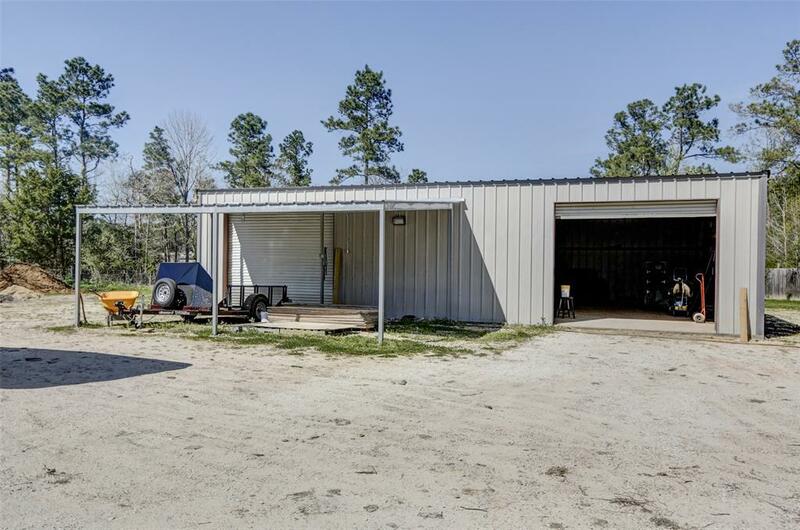 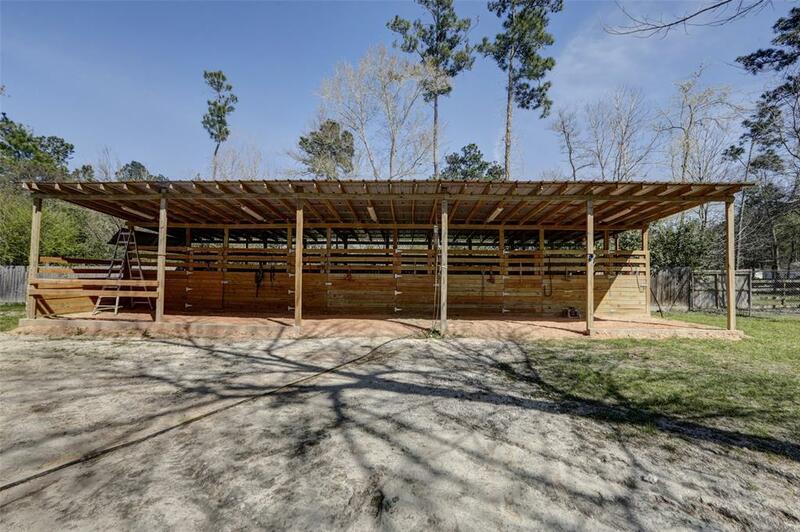 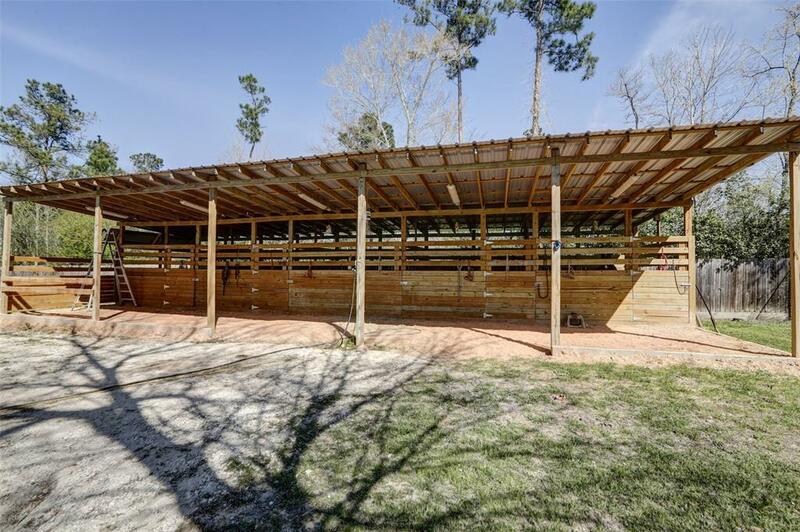 Property is fully fenced with a five stall barn w/electricity and a nice overhang for grooming. 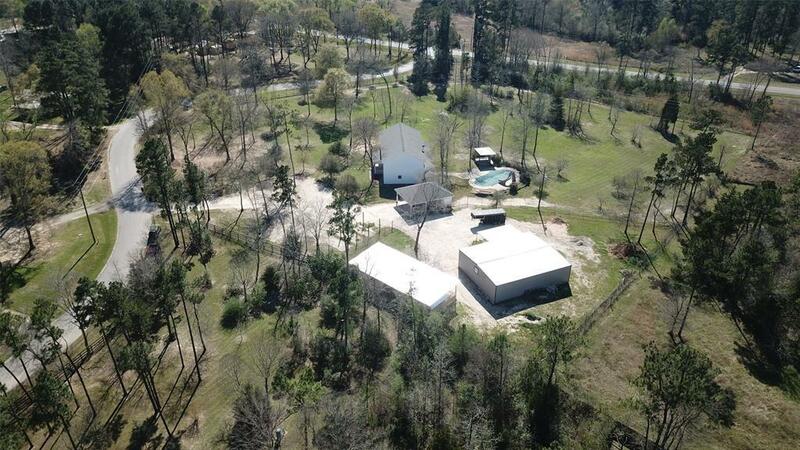 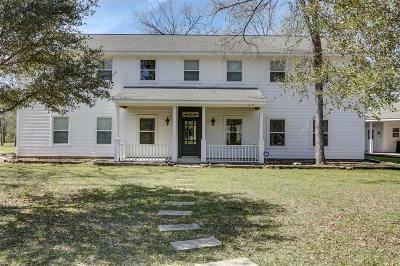 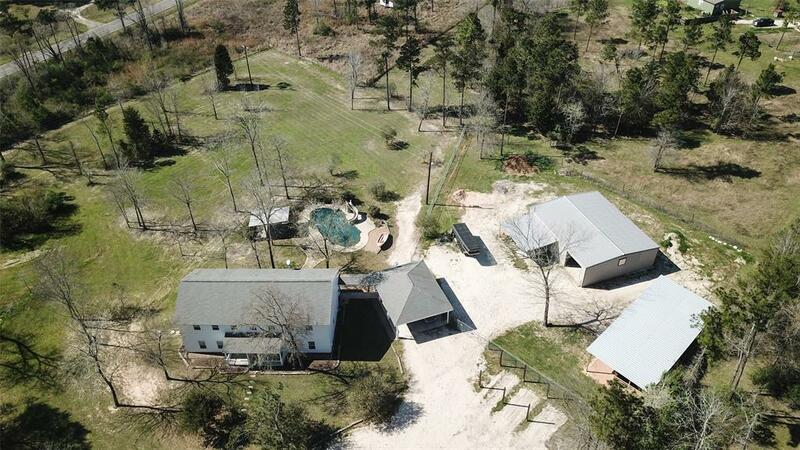 Don't miss this one of a kind home! 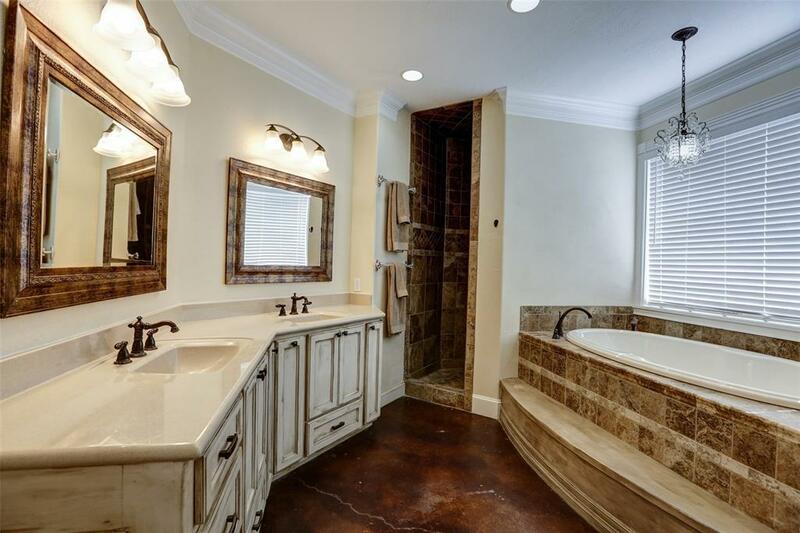 Directions: I-45 Exit 1097, Take A Right. 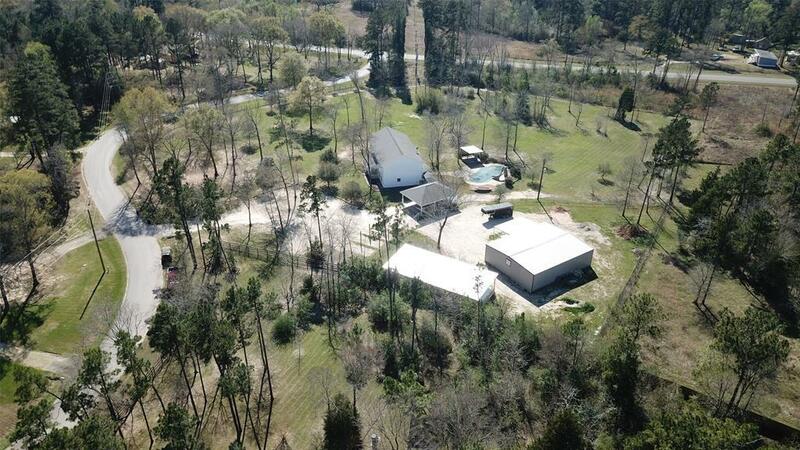 Go To 75n And Take A Left Then A Right Onto Rogers Road. 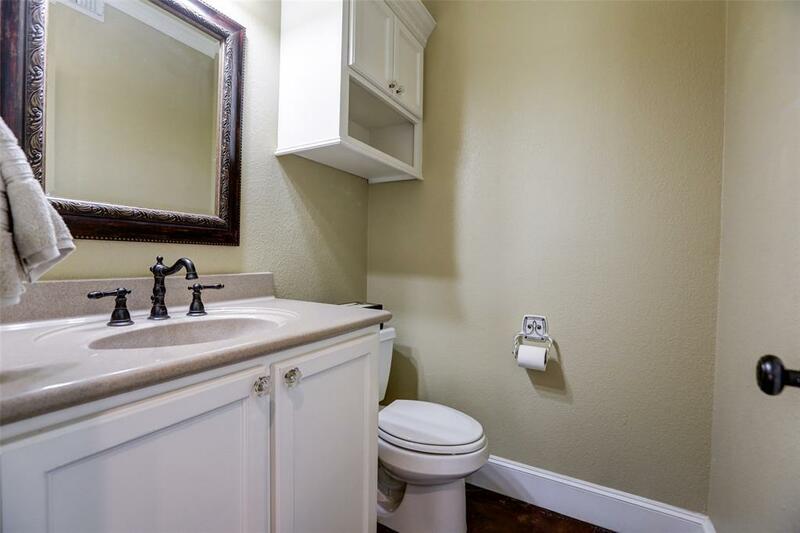 Go Approximately 3 Miles And Take A Right Onto Woodland Lake Drive. Home Is First House On The Left.